Our 'Depths of the Sea' piece combines the modern elements of black & white coloring and clean backgrounds with an artistically fun twist on an octopus that looks like something out of fantasy. 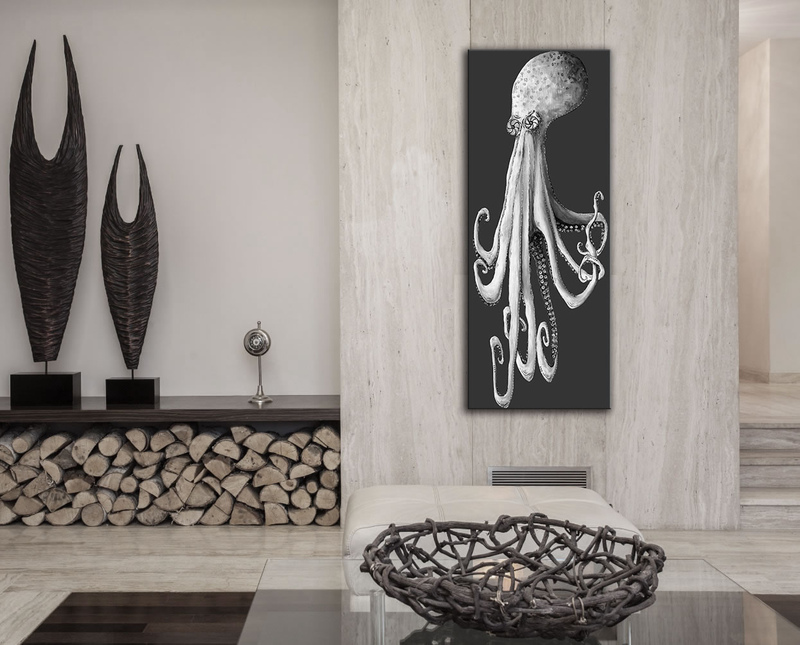 With hypnotic eyes and probing tentacles, this sea creature is sure to be a focal point and conversation piece of your home or office Decor. 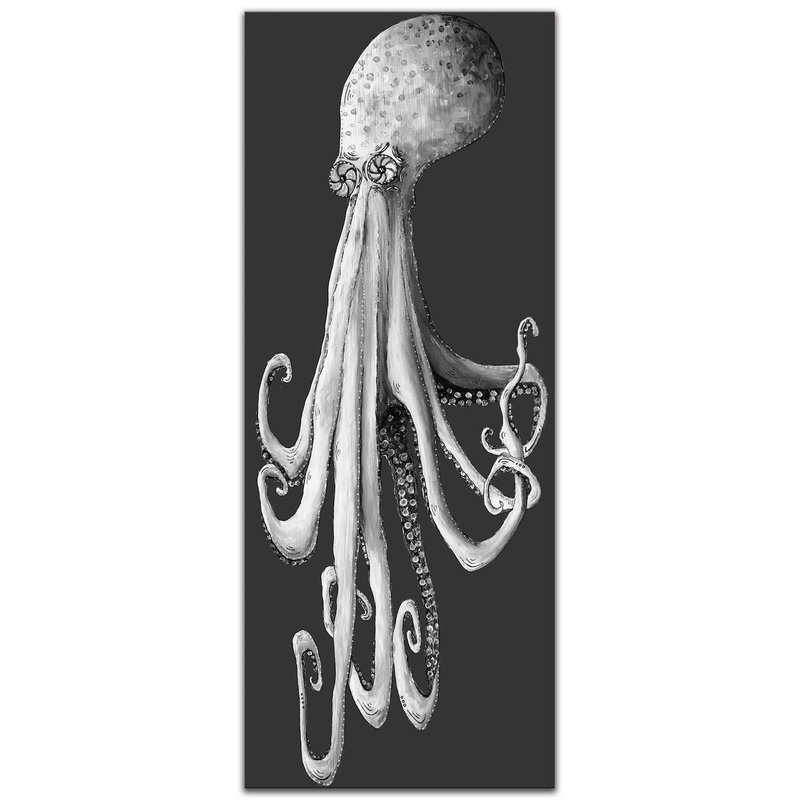 The marine life subject on a durable metal panel also makes this black and white artwork perfect for restaurants or hotels, particular coastal resorts or beachfront properties. An interior Decorator's wish come true for a trendy, ultra-modern seafood restaurant!